At Kids Club Kampala we are supported by donors from across the world, their regular gifts enable us to deliver vital programmes which support and empower women and children in Uganda. Regular gifts are extremely important and make a huge difference to children who are most in need, by choosing to give a regular monthly donation you are investing in the future of the children who we work with. A regular payment also allows us to plan for the future and to sustain and maintain the work that we do. When we receive a notification about a new regular giver we are extremely excited because it means that children can go to school, eat a healthy meal, be taught a new skill, be reunited with their family and have a brighter future. A gift as little as £1 makes a huge difference to the children in Uganda. 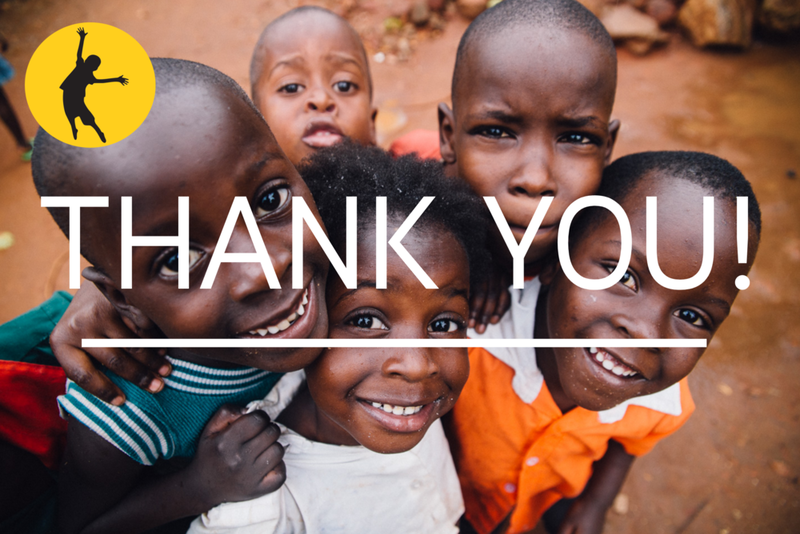 We would like to say a huge thank you to the people who give regularly and consistently to Kids Club Kampala, we would not be able to do the work we do without your support. Before we go any further we want to address some myths around giving to charity and explain how Kids Club Kampala is different. 1) I have to give too much money every month. False, at Kids Club Kampala we welcome any monthly donation because we know that every penny makes a difference. In addition to this if you do choose to become a regular giver and you’re a UK taxpayer, you can boost your donation through Gift Aid, which is an income tax relief created to help charities get the most out of the funds they receive. The scheme adds 25p to each £1 you give at no extra cost to you, so every pound goes a long way. 2) I don’t know where my money is going. At Kids Club Kampala we give donors the choice to donate to a specific project such as the Ewafe Project, Women's Initatives or School Sponsorship, ultimately you can choose where your money goes, so if you’re passionate about supporting young girls you can donate to the Teens Project or the Girls Football Project. Our donors receive regular updates via email and via our social media platforms, they are also sent an annual report each year which gives a detailed outline of our impact . Alternatively, donors can give to the general fund and this will be used for all areas of the charity. 3) My donation isn’t going to make a difference. · Provide 206,000 nutritious meals to hungry children. · 3278 children attended our Kids Club. · 120 children were sponsored to go to school. · 19 children rescued from child abandonment. · 182 women supported to gain sustainable income. 4) If my financial situation changes I won’t be able to stop my payments. We understand that financial situations can change as a result of challenging life circumstances, if this does happen all you have to do is contact one of our friendly staff who will be happy to talk you through the process of stopping your regular payments. 5) All my money will go to the charities overheads. Last year 85% of our funds were spent in Uganda to directly support children and their families. We value the opinions of our regular givers and we conducted a questionnaire to gather their thoughts and why they choose to donate to Kids Club Kampala. Read below to hear about what they said. We asked: Why did you choose to donate to Kids Club Kampala? We would like to say thank you to everyone who has supported our work and enabled us to make a big difference to so many lives. We would love you to partner with us to continue to bring hope and love to some of the most vulnerable children in the world. For those who are not able to give financially we value your prayers for all the staff, volunteers and children at Kids Club Kampala. If you would like to partner with us by becoming a regular giver please click here. If you would like to learn more about Kids Club Kampala please click here or contact us directly, we would love to hear from you.